Come as strangers and leave as friends at Blessings on State Bed & Breakfast, in Jacksonville, Illinois. 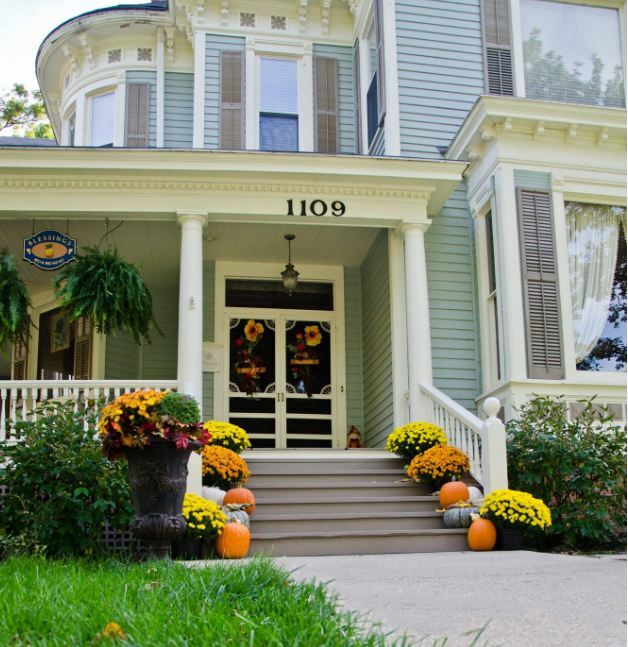 Gracious service is the hallmark in this magnificently restored century-old home. 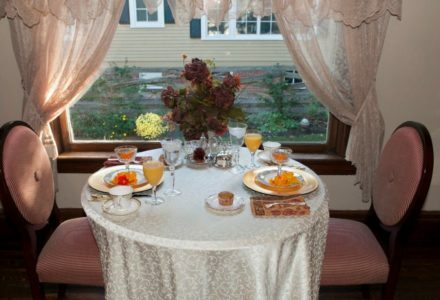 Rediscover the art of hospitality at Blessings on State Bed & Breakfast, in Jacksonville, Illinois. 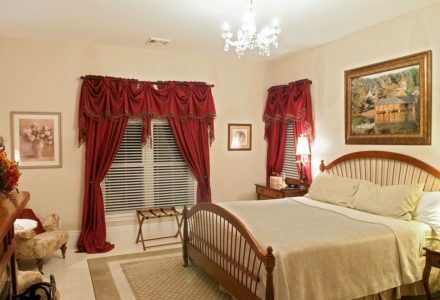 We are a short drive from Springfield and are located in the prestigious Duncan Park/West State Street historic district in Jacksonville. 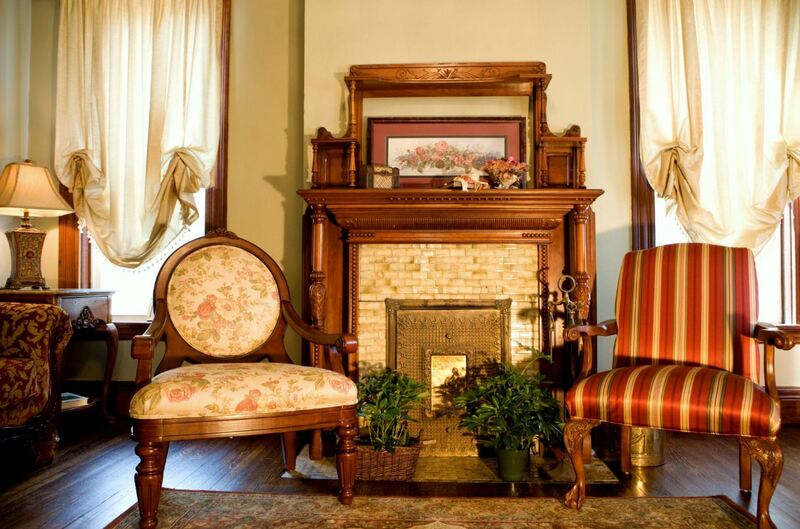 Our beautiful century-old home has been magnificently restored and its strong architectural details include a carved staircase, five distinctly different tiled fireplaces, pocket doors, natural wood floors and stunning chandeliers in every room. 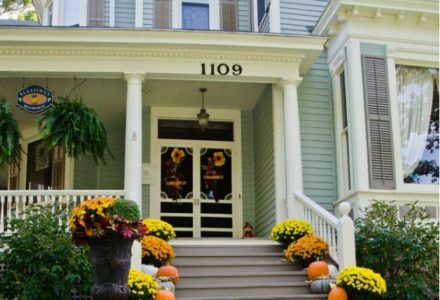 An inviting wrap-around porch welcomes you to the entry where you will be received into the grand foyer showcasing the original carved Victorian staircase. 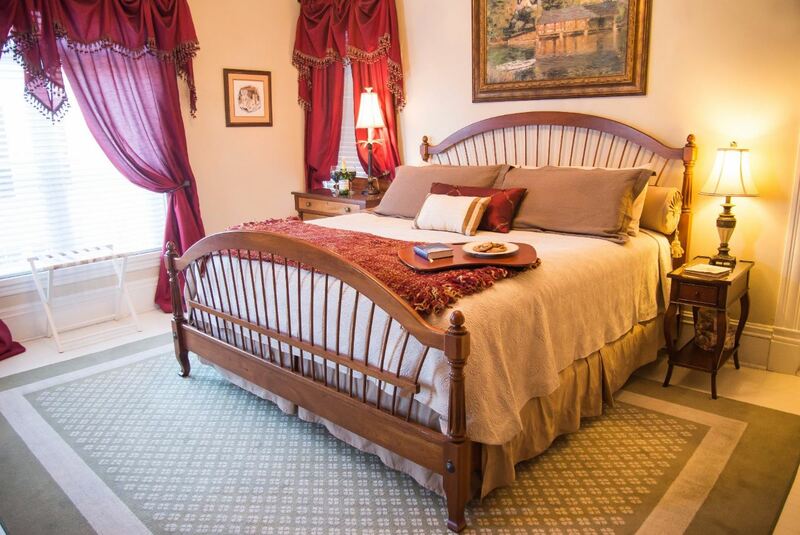 Beautiful music wafting from the baby grand player piano may draw you into the front parlor before you climb the stairs to find your beautifully appointed guest suite on the second floor. Each unique suite features a fireplace, a full private bath en suite (attached) and a private sitting room (attached). 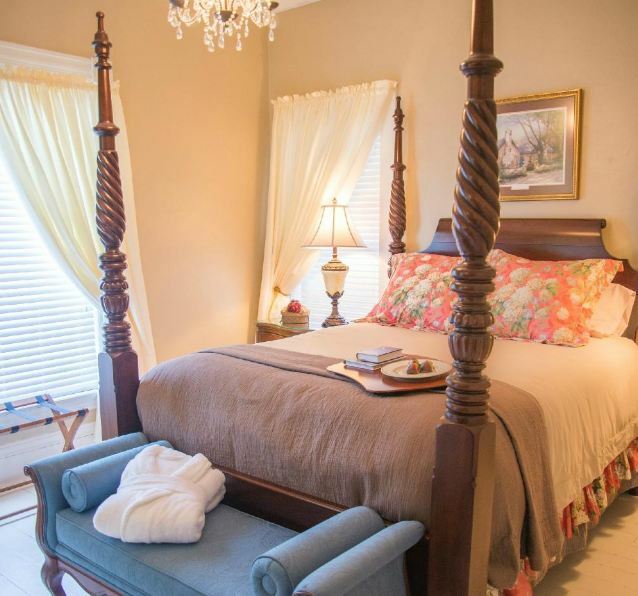 This gracious home is furnished with a mix of past and present, offering all of the comforts of home in an elegant departure from standard hotel rooms. 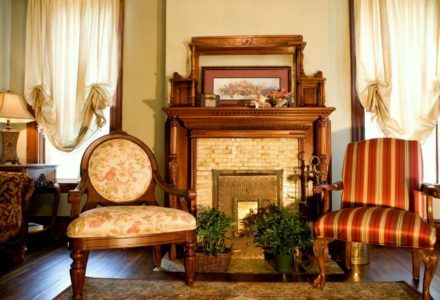 Furnishings are traditional in style and comfortable by design. High tech meets high style as you find your digital satellite television and DVD player behind closed doors. High-speed internet is available throughout the home. 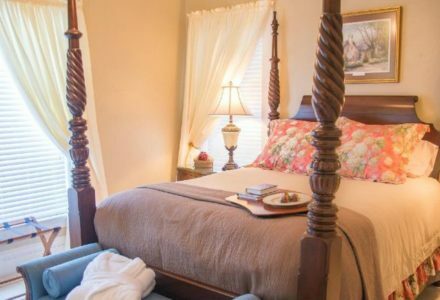 Our bed and breakfast is equipped for guests with hearing impairments, offering all the basics to make your time away from home both secure and comfortable. In addition to standard signalers, we have an amplified phone, TTY and a video phone available for your use while you’re here. 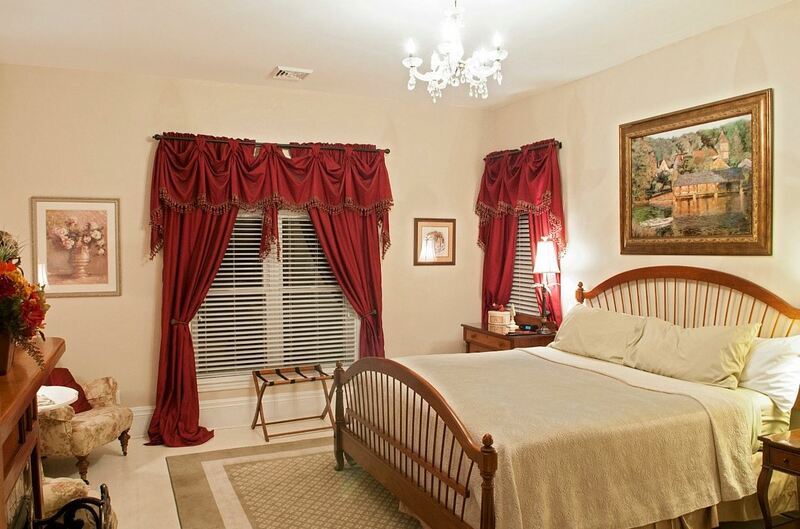 Our goal is to provide pampered luxury to delight both business and leisure travelers. 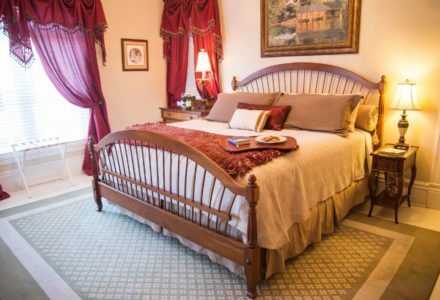 Whether your desire is to soak your cares away in the claw-foot slipper tub in Tranquility’s marble spa bathroom, catch up on all your magazines in your own private sitting room, or just sit and watch night fall from the wicker chairs on the front porch, you’ll find a calm and relaxing environment throughout our home. If you need to do business while you’re here, take time to take care of yourself. It’s all in a day’s work as you meet with a colleague or use the business center in the library, then put it all aside and go for a walk or run through our quiet residential neighborhood. Children Policies: Children are welcome when accompanied by well-behaved parents, based on the availability of the Tranquility Suite. Extra person charge: 10 and older, $10 per person; 10 and under free. Pet Policies: Service animals will be welcomed. However, Blessings on State is not suited to pets. Please ask us for recommendations for local accommodations for your pet during your stay. Smoking Policies: This is a non-smoking inn. Violations to this smoking policy will result in a $250 (minimum) cleaning fee and/or related damage charges posted to the guest's credit card on account.